A year ago we purchased the Samsung $249 Chromebook from Amazon. For a long time it was easily the best selling laptop on Amazon. 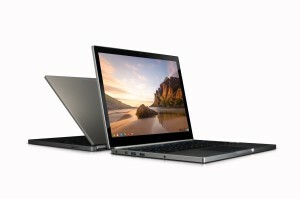 Then in February Google released the Chromebook Pixel. A video and shots of the device were leaked widely on the web and panned universally as foolishness that would never become reality. Google had in fact been hard at work building this device to their specifications with a clear focus on existing in the same class as the Macbook Pro. One of their goals was to establish that a cloud based computer could be used as a primary computing device. They believed that this would give Chromebooks the needed panache to convince average users to try. I will start be saying that the fact that I am still using the Pixel as my primary computing device, I literally handed down my Zenbook to a new employee, as a clear sign of success. I have always been a power user of a pc, pushing applications places to perform tasks they might not have been intended to. I would like to take the time and run through my top 5 dislikes of the Pixel first and then hit my top 5 likes of the device. It is a real shame that Intel did not have their act together yet for the launch of this device. The Haswell platform has substantially better battery impact than the Ivy Bridge processors. That said the device would have been greatly imporved if it was 1-2 mm thicker and had another 1-2 hours of battery life. I regularly get about 5 hours use on a full charge if I pay attention to the screen settings. 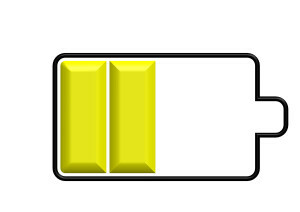 If I do not it is not unusual to burn through my battery in less than 4 hours. This is a shame. The lack of battery life also has required that I take my tablet with me in more situations than I normally would have. On a long plane flight out to San Francisco my Pixel has no chance, this means I am currently writing this article on my tablet en route to Charlotte. Again, a shame as I would prefer to travel with one less device. The lack of USB 3.0 ports is baffling and to this day I have not heard a good explanation. I guess it is possible they were trying not to tax the battery any more than it already was. It is also possible they were just saving money. I find the former far more likely with the latter just not jiving with the rest of the premium feel of the device. With the only port being a mini display port it was a little frustrating at first accumulating the needed adapters to make this device useful in all situations. Once I acquired the HDMI, Display Port, and VGA adapters needed I was fine but my bag was a little more cluttered. Yes, I am really reaching to find 5 things I do not like about the device. The support for the Pixel is fantastic and they have successfully helped me navigate a couple of situations well. Sometimes they just remind me of something I should already know but at least they do not send me a snarky video of how to Google it! All that said a precursor to getting support is entering the serial number. This number is etched into the bottom of the device and is so small I have to get my jeweler’s monocle out to read it. The number is also not to be found in the OS anywhere. This makes getting support when hooked up to my monitor, power supply, and peripherals quite a pain. Other than the battery life my greatest frustration has been the lack of high end accessories to go with this premium device. The pat answer of using the accessories designed for the MBP is just not acceptable. The unusual, and fantastic, screen aspect ratio gives the unit a different footprint making most aftermarket cases awkward at best. Then there was the debacle of spare power supplies. Obviously the person who managed this aspect of the supply chain has spent their whole career chained to a desk. Everyone I know that is a power user and relies on their laptop as the primary computing device immediately buys at least 1 if not 2 spare power supplies. It was fully 3 months before they were available and then you could only purchase 1. This was utterly ridiculous and unacceptable. Hopefully the person responsible has been beat around the head and shoulders by enough coworkers armed with Nerf swords that this will not happen again! We have seen this pattern before with Google and they are up to it a third time. Android started out as a mockery of a phone. I used the original TMobile G1 from launch and suffered through Androids early growing pains. I was mocked by all my iPhone toting friends. Failure was assured, Apple could never be overtaken…well we now argue which Android phone is the best in the world and often Apple is not discussed. The same process occurre with tablets. Earlier this year Android tablets overtook Apple in this segment as well and I do not expect we will be looking back. Chrome OS is growing up right before our eyes. New, exciting features are coming weekly now and the bridge for Chrome users on Windows/OSX is completely in place. 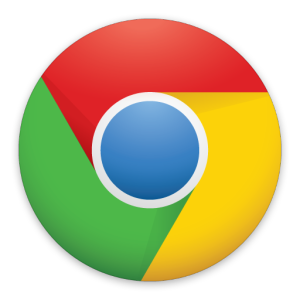 If you use Chrome as your browser (most do) you will find them in place when you log into a Chromebook. Education is Apple’s mainstay and saved their mindshare in the 90s when their corporate influence vanished. If you look at the 25-45 year olds that primarily use Apple products it is that exposure in schools that deeply impacted them. What is happening right now, this year, should shake Apple to the core (sorry for the pun). Education is not just moving to Google but flocking to Google in droves. Chromebooks are far superior to iPads for education and Apple cannot afford to make the Air competitive. Google is winning the next generation. All that aside I really enjoy using the Chrome OS each day. It is fast, predictable and allows me to move quickly and seamlessly between tasks. There are a few things I run into that I wish were present but creating content, interacting with my world, and working offline are all very effective. The big hole in the app support space is screen-sharing and collaboration tools that have business features instead of what Hangouts has to offer. I realize this will be fixed in the future but most of the big tools do not work with Chrome OS. In a word it is fantastic. I am spoiled and will have a hard time adjusting to anything else. I have arthritis in my hands and even after a long day I can type smoothly and pain free on the keyboard. The key travel is perfect and superior to the Apple keyboard I use with it on my desk. The backlighting is so good I wonder ifit could be turned it down and save a bit of battery. The trackpad is equally impressive. The surface is particularly pleasant, I will avoid analogies here, and the size is perfect. Scrolling and gestures are also excellent, especially when compared to Windows 8 efforts. I find this rather humorous because Google got it right on a device where it is a secondary feature and Microsoft could not get their cornerstone feature correct. That really says a lot to me. Much has been written about the screen. Suffice it to say you cannot purchase an external monitor for less than $2000 that looks this good or has this kind of clarity. The screen is as good as it gets. I love it and it will be hard to move to anything lesser in the future. I also have really come to love the aspect ratio. I have found it useful in much the same way I use my 10″ Sony tablet in portrait mode. It is perfect for reading and absorbing content. I might feel differently if my most common use was video but this format is absolutely outstanding for me. The last time I used a laptop screen this way was my Thinkpad with the 1600×1200 screen. This may be the most underrated feature of the Pixel. It took me a few weeks to get all of my data into the cloud but I no longer worry about losing information. It seems counter-intuitive but I prefer to have my primary storage be in the cloud with local being my backup. By having my data there it is instantly available from my tablet, phone, or any other device I log into. It is hard to describe how easy it makes being productive. 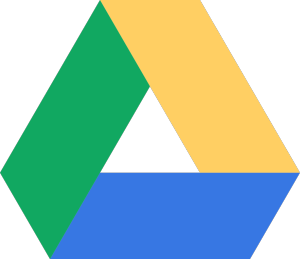 I am writing this article and I know that as soon as I land it will be synced to the cloud and I will be able to review on my phone or Pixel before I board my next plane. I am also particularly pleased with my backup strategy. Props here to Spanning Backup for an outstanding service, I highly recommend it. By using another cloud service I have my data in a separate cloud network and I have the ability to download it in bulk. I do this to an external drive at my office. I will also periodically copy it to another drive and stick it in a safety deposit box. Without much effort or cost at all I have 4 copies of my data. This is all possible because of the TB of storage received with the Pixel. BSOD is not a feature of Chrome OS. ‘nough said. There are hiccups now and again, see #8 for why this is not an issue. I am really impressed with the quality of the device. This has been covered elsewhere ad nauseum so I will not elaborate but it is really outstanding. There were those that were concerned with the hinge when it was first released. I can honestly say that I see no change with constant daily use, it is well made. The sound system this device has even impressed my teenage son. It easily fills a room with clear intelligible sound. It literally is the perfect device to use as an ad hoc conference phone. The shame is that none of the major meeting platforms support it. It certainly makes listening to media a pleasure. The device is so fast I have found myself not caring if I shut it down or suspend. This is a major shift from expectations on other platforms. I would suggest that the device really does not need both options, it really is that fast. Yes, I love it! My adventure into a post-Windows world has been a rousing success and I do not expect to look back. I truly believe that those who can adapt and move this direction with the industry will thrive.